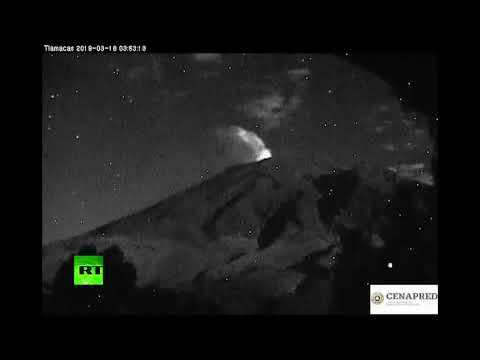 Popocatepetl volcano spews hot rock & ash in Mexico | We Seek the Truth! An explosion at the crater of Mexico’s Popocatepetl stratovolcano has hurled incandescent rock about 1.5 miles (2.5 kilometers) down its slopes and sent ash into the night sky near the nation’s capital. Some 25 million people live within about 60 miles (100 kilometers) of the mountain’s crater.